The information provided below is meant to help you understand the role of your cervical cancer biology treatment decisions, as well as the role of other tools used in determining your ability to receive chemotherapy or targeted therapy (precision medicine). 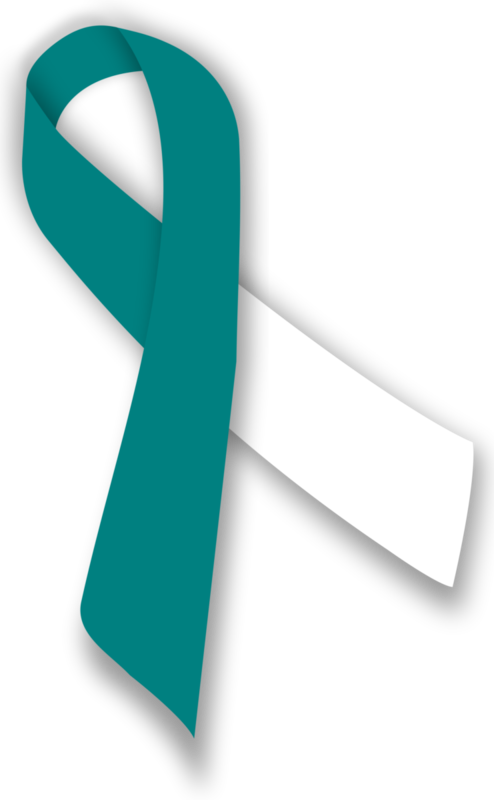 Cervical cancer is the most common cause of gynecologic cancer death. Generally, cervical cancer tends to occur in women younger than age 50. However, older women are still at risk, with more than 15% of new cases being diagnosed in women over 65. Cervical cancer rarely develops in women younger than age 20. The most common site for cervical cancer cells to develop is in the lining of the cervix (66%), and this type of cancer is called squamous cell carcinoma, as it arises in the squamous cells of the cervical lining. About 28% of all cervical cancers develop from mucus-producing cells in the endocervix (opening of the uterus), and it is called adenocarcinoma. Other types of cervical cancer comprise the remaining 6%. The number of cases of cervical cancer and the number of deaths from cervical cancer have decreased significantly in the last 20 years, mainly due to advances in prevention, early detection, and treatment. Cervical cancer, when detected early, has a 5-year relative survival rate of 92%. If the cancer has spread to the surrounding area, then the relative survival is about 57%. If the cancer has spread to other areas of the body (liver, lungs, bones, etc.) then the 5-year survival drops to approximately 15%. The main risk factor for developing cervical cancer is the persistent infection with human papilloma virus (HPV), accounting for 99.7% of all cervical cancers. HPV is transmitted by sexual contact; therefore, sexually active women should be screened with a pap smear regularly by their physician. There are two types of HPV that are responsible for most of the cervical cancers: HPV16 and HPV18. Most infections with the high-risk HPV infections do not lead to cervical cancer, as most infections clear within two years. For cervical cancer to develop in women with high-risk HPV infections, the infection must also be persistent. The low-risk types of HPV, may cause genital warts but are not associated with cervical cancer. Cervical cancer treatment often involves a combination of interventions including: surgery (if operable), radiation (if indicated), chemotherapy and/or targeted therapy (precision medicine). Your treatment depends on the stage of your cancer, your age, and your general state of health. The goal of surgery is to completely remove the tumor. The type of surgery will depend mostly on the stage, but other factors such as the location of the cancer within the cervix, the type of cancer, your age, your overall general health, and whether you want to have children, can greatly affect the surgical decision. Your gynecologic surgeon will let you know which of these options is best for you, considering these factors in achieving the best outcome. You will need to discuss your individual case with your gynecologic surgeon. Radiation therapy, or radiotherapy are commonly used in the treatment of cervical cancer. The radiation oncologist will determine whether you will need to receive radiation for your cancer, this depends on your age and overall health status. This website is designed to address the medical oncology portion of your treatment and offer you personalized information about your treatment options that will yield in best survival and quality of life. Chemotherapy is generally indicated for stages IB or higher. This can be given in combination with radiation or in combination with targeted therapy after the tumor is surgically removed. There are several chemotherapeutic drugs that can be used, however, cisplatin is the most used drug, followed by carboplatin, paclitaxel, topotecan, vinorelbine, or gemcitabine. Targeted therapies, also called precision medicines, are drugs that interfere with the growth or spread of cancer by targeting and blocking specific molecules that are involved in the growth and spread of cancer. In cervical cancer, bevacizumab is used to target the vascular endothelial growth factor (VEGF), a protein normally made by tumor cells. The VEGF is responsible for increasing the blood flow to the tumor to facilitate the growth of the tumor. Bevacizumab blocks this protein from stimulating new blood vessels formation. Finally, chemotherapy, and targeted therapies can result in unpleasant side effects such as hair loss, numbness of fingers or toes, cardiac toxicity, nausea, vomiting, diarrhea, abnormal liver function or low white blood cell count that could cause infection, and fatigue. However, advances in the oncology field have led to numerous supportive measures, such as white blood cell growth support (i.e. Neulasta) or anti-nausea medications (such as Zofran, Emend), that help to control most side effects when used as prescribed.